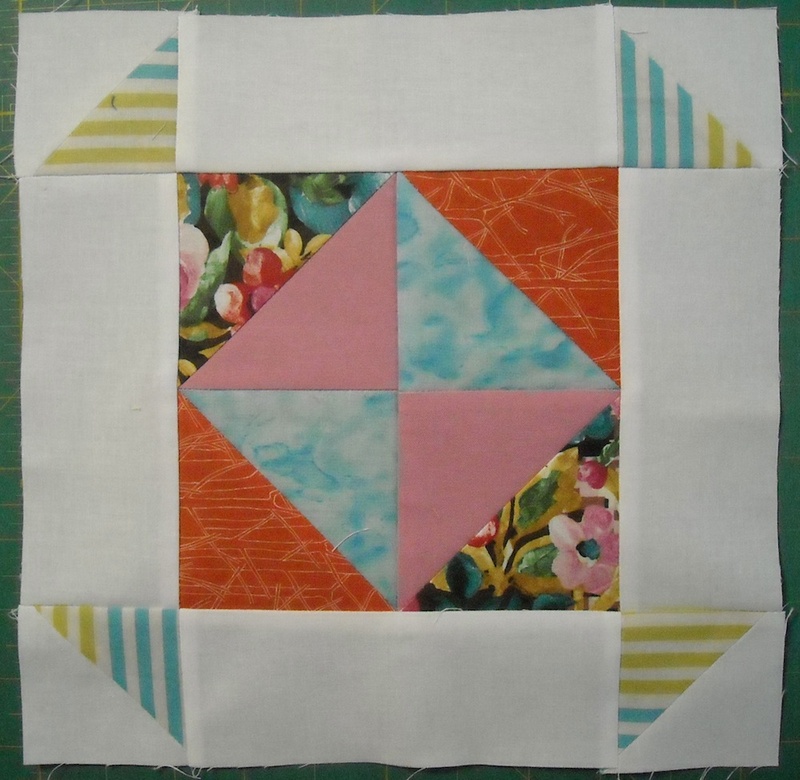 I love seeing the blocks you’ve done so far — they’re very pretty, and I’m excited to see your finished quilts when the time comes! We’re up to Block 4 already. Moving right along! First, we’ll assemble the center section. 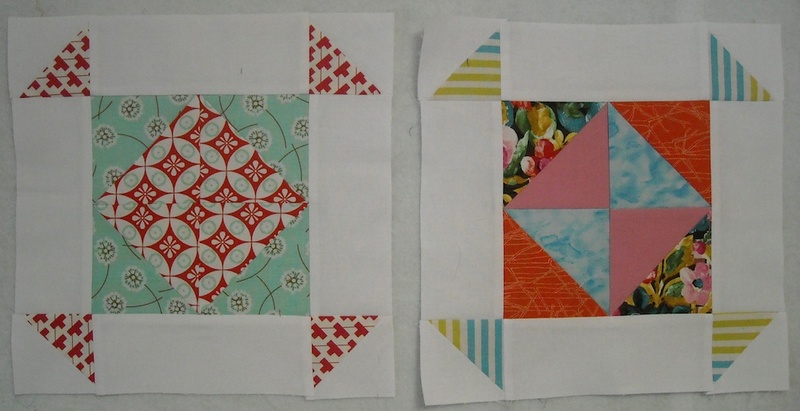 Sew the half-square triangle units into pairs, pressing seams in opposite directions. 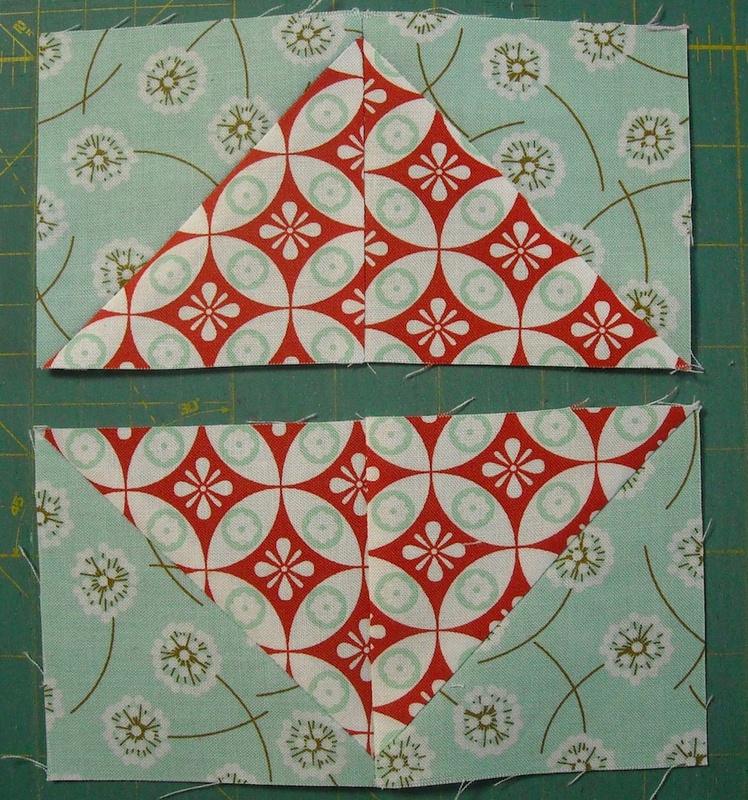 Then sew the pairs together, pressing the seam to one side. 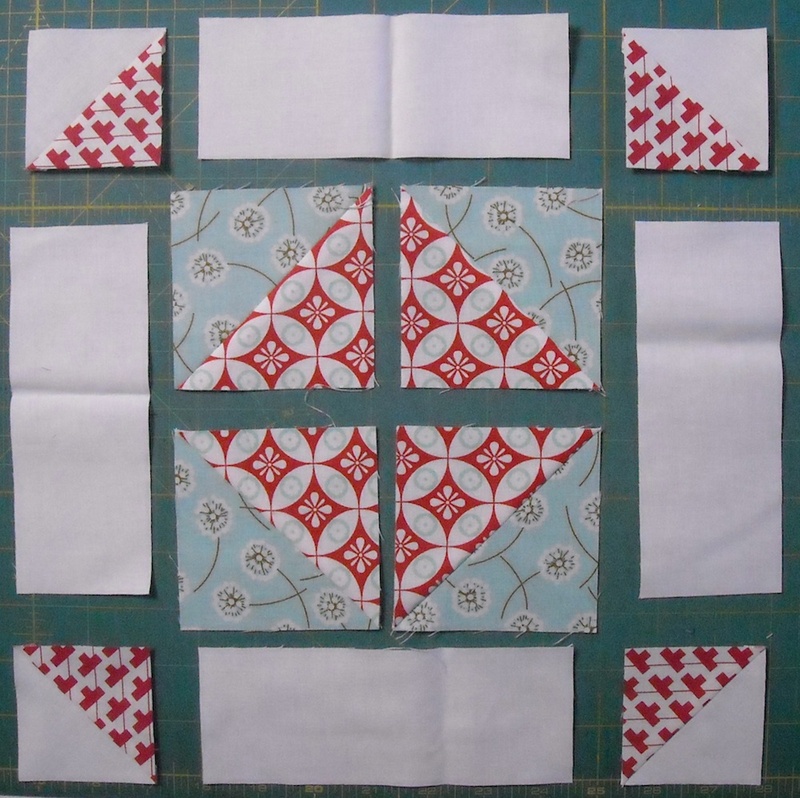 Now, you can sew all the units into rows, as shown here. 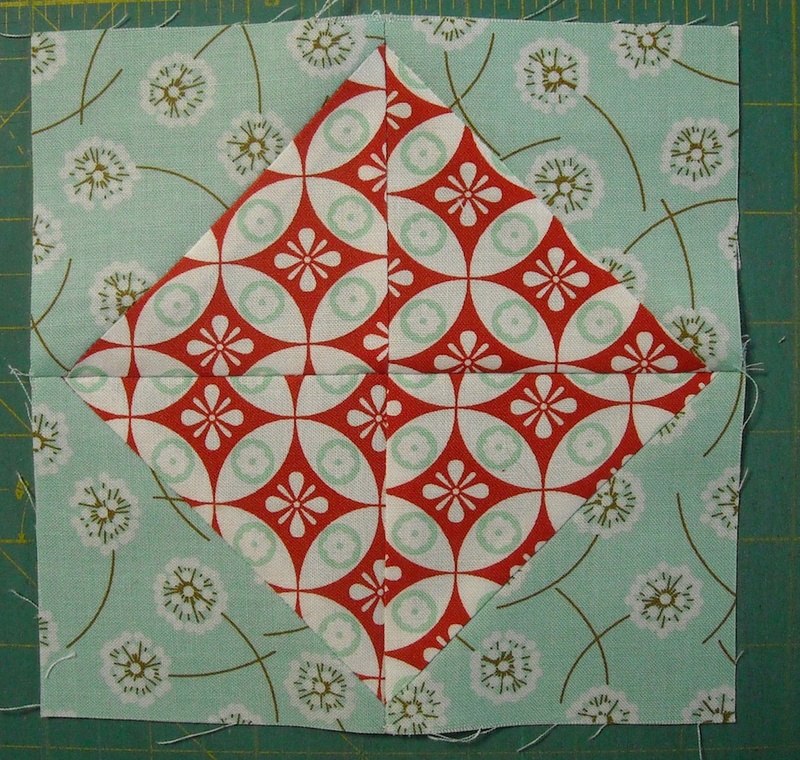 Press seams toward the background strips. 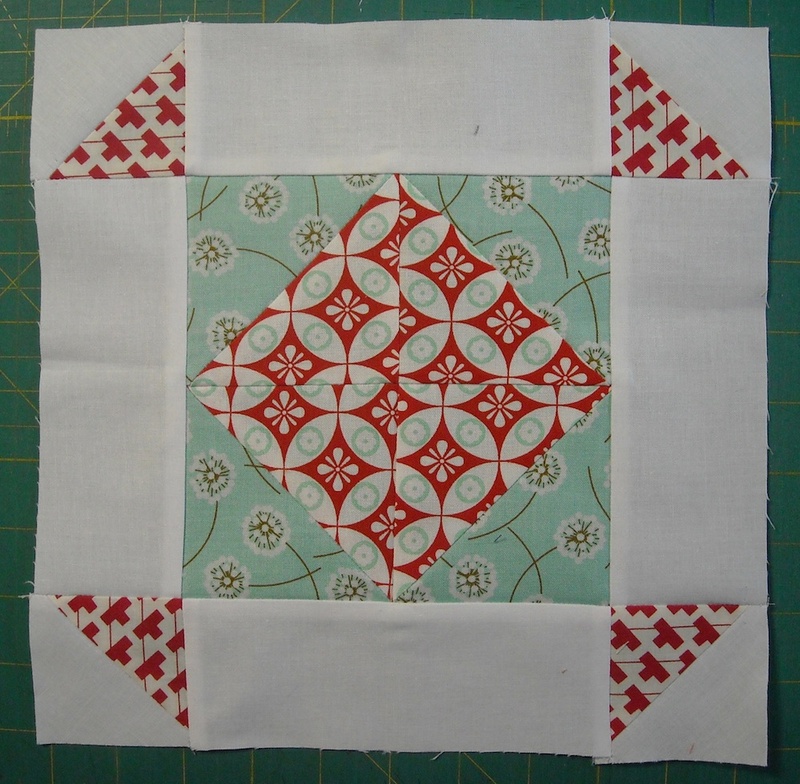 Next, sew the rows together, and your block is complete — wasn’t that one fast and easy? 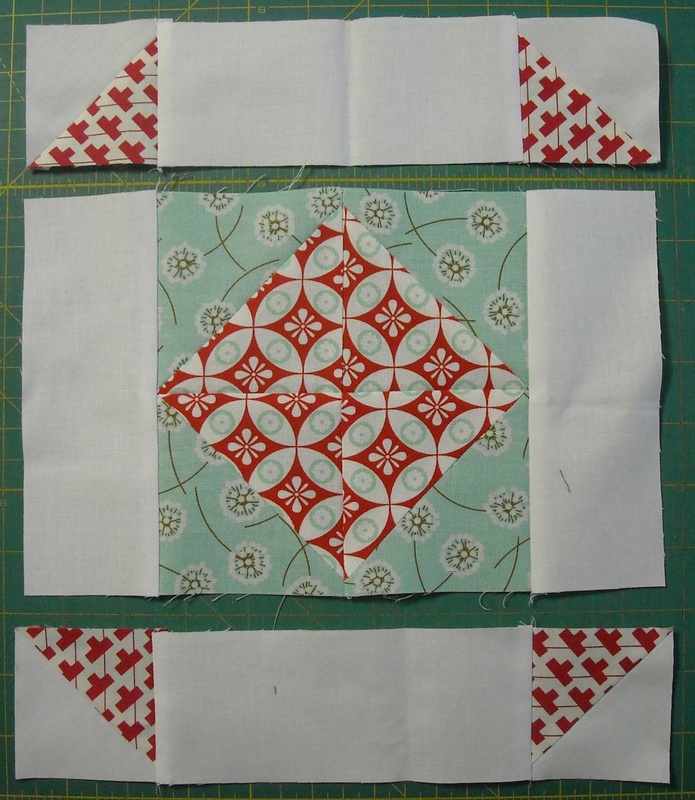 Now, you get to repeat that process to make a second block. Again, feel free to play with the arrangement of your units to come up with something different. Label these with your Block 4 label, and that’s it for today — I’ll see you Wednesday with Block 5!